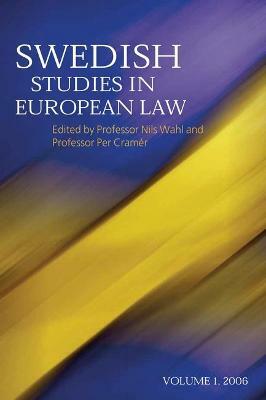 The Swedish Network for European Legal Studies is happy to announce the second volume in this new series of annual publications which acts as a forum for the publication of studies on European law by Swedish scholars. The annual contains peer-reviewed articles aimed at spreading Swedish legal research on European law to a wide international audience. The editors of the yearbook are Professor Per Cramer and Associate Professor Thomas Bull. The articles in the volume are concerned with European law, its development, impact and reform; furthermore they are original, analytical contributions to doctrinal debates and questions, by legal researchers mainly, but not exclusively, connected with the Swedish universities. Buy Swedish Studies in European Law by Per Cramer from Australia's Online Independent Bookstore, Boomerang Books. Professor Per Cramer and Associate Professor Thomas Bull are both members of the Swedish Network for European Legal Studies.